Cathy creates works in a variety of mediums, but her specialty is the unique engraving medium of Scratchboard. Please use the links to the left to learn more about her and her work. 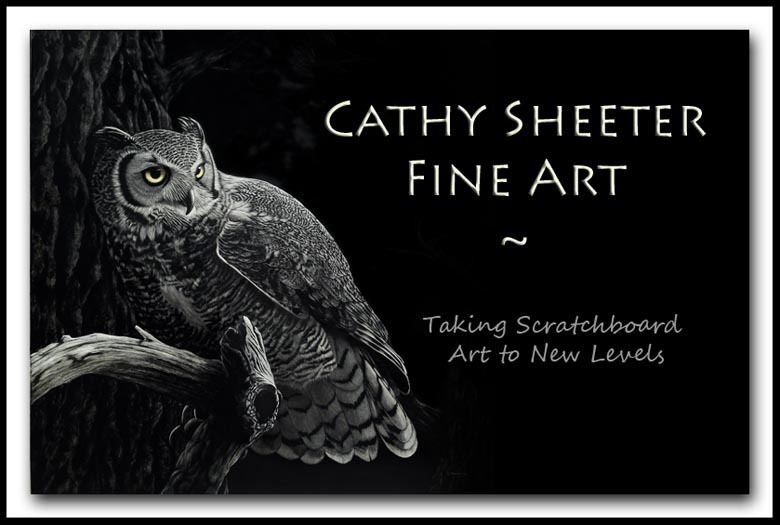 Cathy is a Master Member of the International Society of Scratchboard Artists (ISSA), and a Signature Member of the Society of Animal Artists (SAA). All Rights Reserved. All uses without permission strictly prohibited! "Golden Years" - 3" x 4.8"